Below is a list of homes for sale, if you would like to refine your search within 85019 you can easily do so here. Great condo! New paint and carpet! 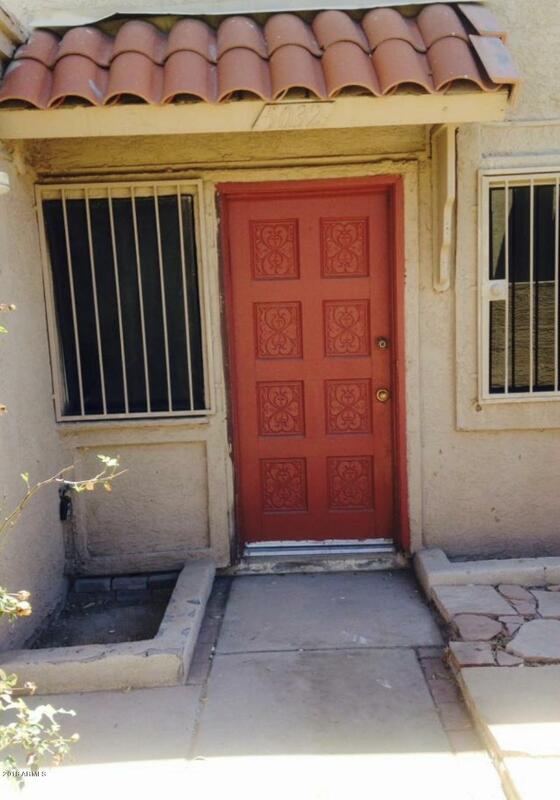 This 2 bedroom, 1 bathroom condo located in Phoenix is move in ready! Inviting landscaping leads to the enclosed front patio. Property has a welcoming open living space. 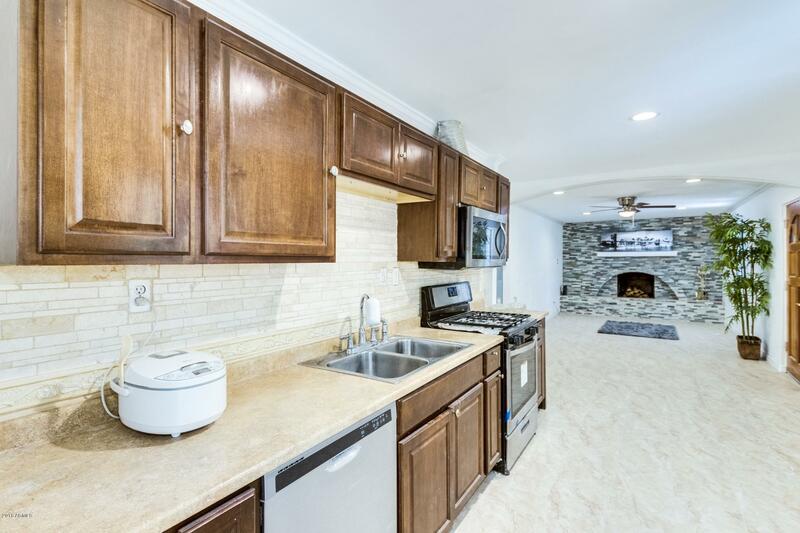 Kitchen has nice countertops and white cabinets. Both bedrooms are spacious. Take a look, you won't regret it! 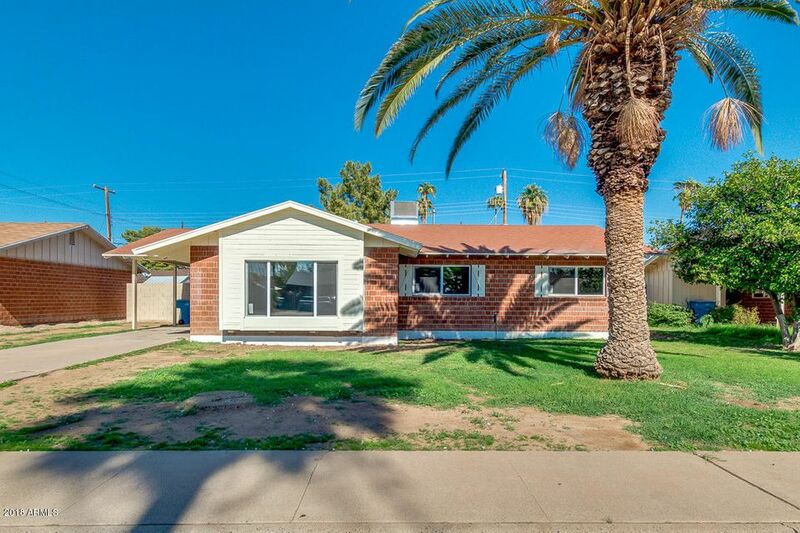 Charming red brick home on a large lot! Gorgeous flowering trees and mature palms greet you at the entrance! Open floor plan, rich cabinetry and stainless steel appliances are only a few of the many features you will love! Beautiful granite countertops are always a plus! This home boasts a breakfast bar and a spacious dining area in the kitchen. Four generously sized bedrooms. The neutral color palette will embrace your furnishings from the start. The covered back patio provides the perfect space for evening meals! A large pad is ready for RV storage and RV gate access from alley. Large grassy areas are always great for dogs and/or kids. Plus no HOA! 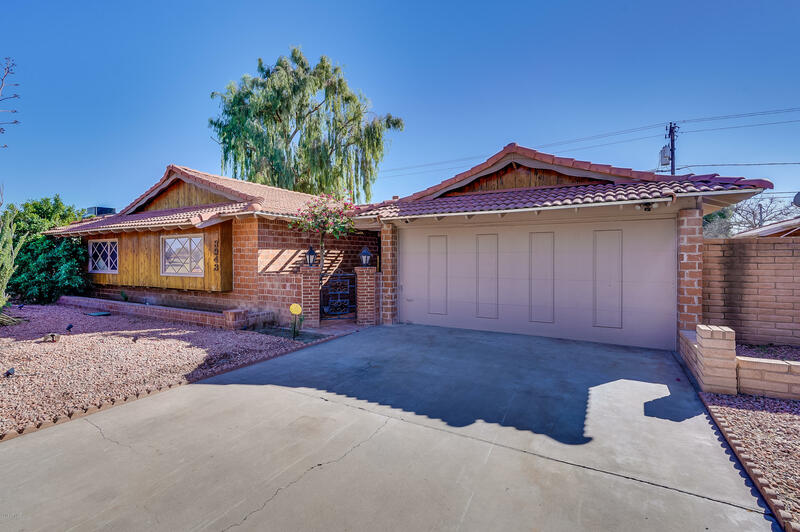 This home is priced to sell and wont last -ample space inside and out! Call and see it today! 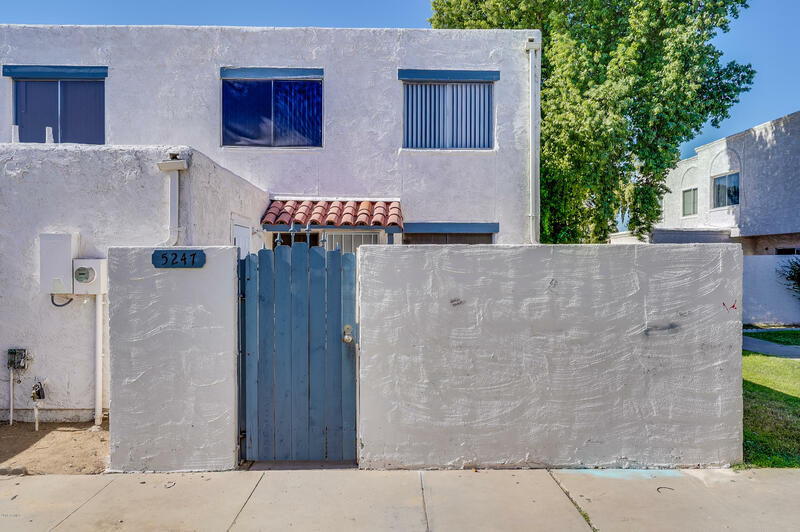 Beautifully remodeled 3-bedrooms, 2.5 baths including a separate guest quarter in the back with it's own AC unit, sparkling pool and a brand new roof. 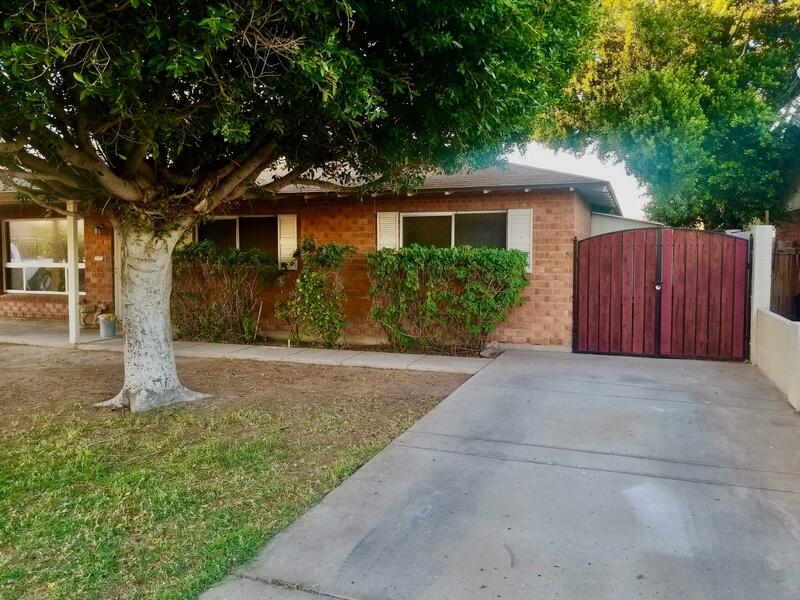 Home features Gated courtyard in the front, original refinished wood flooring, fireplace, storm shutters, white kitchen cabinets, new kitchen sink, new tile, new carpet and a huge 2-car garage!! Home has a beautiful view of the park across the street. Red brick home with all of the upgrades and amenities. New flooring throughout, light fixtures, stainless steel appliances, heating & cooling system, and much more. Swimming pool, covered patio, built in BBQ, and storage shed in back yard.The heating & cooling system is only a few months old, the pool filtration system has been recently replaced as well. This home is truly move in ready for you and your family. Phoenix mid-century modern Hallcraft. This is not a flip! Pride of ownership shows the moment you walk in the door. You will be greeted with open concept living and kitchen space. Upgrades include windows, kitchen cabinets, tile floors in living areas, bathroom fixtures, doors, and ceiling fans. Come in and enjoy the wide open living space, fireplace, and indoor laundry. Amenities are abundant. Conveniently located near GCU, Westgate, and central Phoenix. Don't miss out on this great opportunity. PRICE REDUCTION ALERT!!!! !Remodeled to perfection! 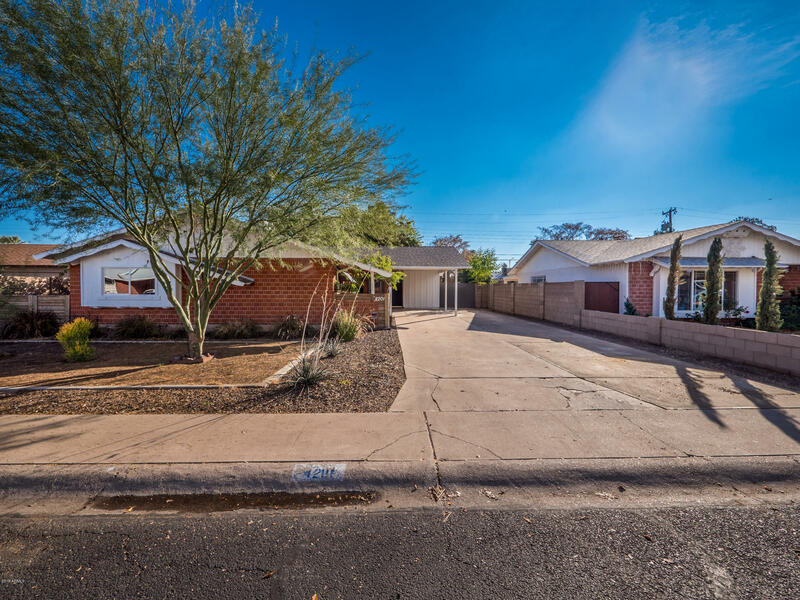 This home is close to shopping, schools and dining. Here are just a few of it's wonderful features: cozy stone fireplace, stunning tiled backsplash in the kitchen, gorgeous tile flooring throughout, classically white bathrooms, freshly painted,two water heaters, central a/c, incredible enclosed back patio, large backyard, Extra Family room with it's own entrance and so much more! You are going to love all the fruit trees! Parking available in the front and the back yard. Come take a closer look at this most charming home! Don't miss out! 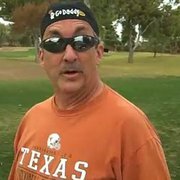 Look at this amazing Gem. 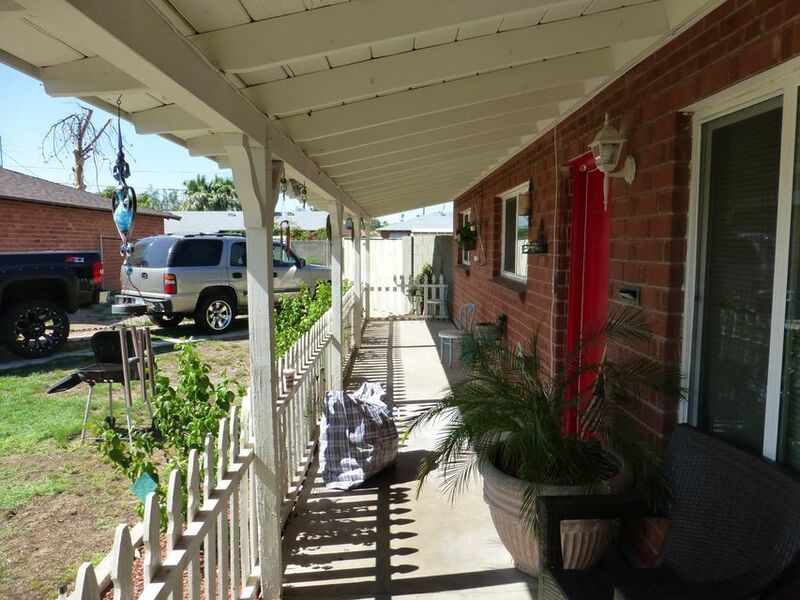 This beautiful property has everything you want in a 3bed 2 bath. Clean tile and wood flooring throughout the entire home. 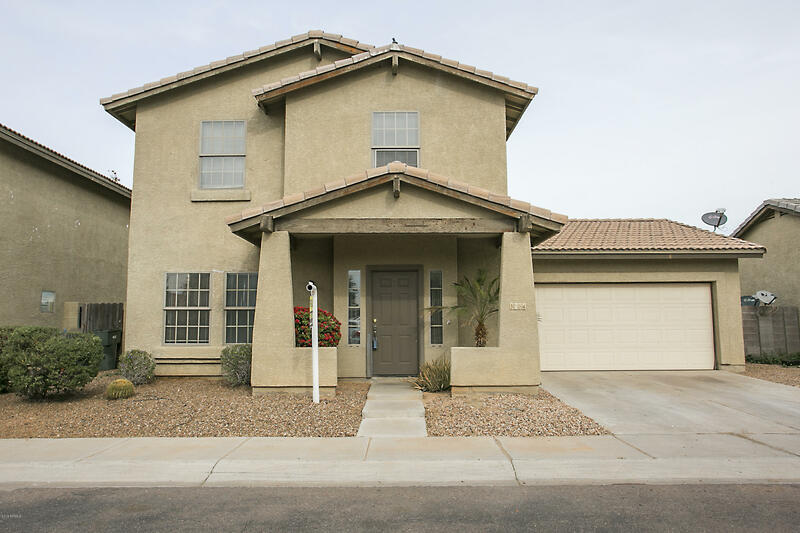 Enjoy some family time in the spacious back yard that features and extended covered patio. 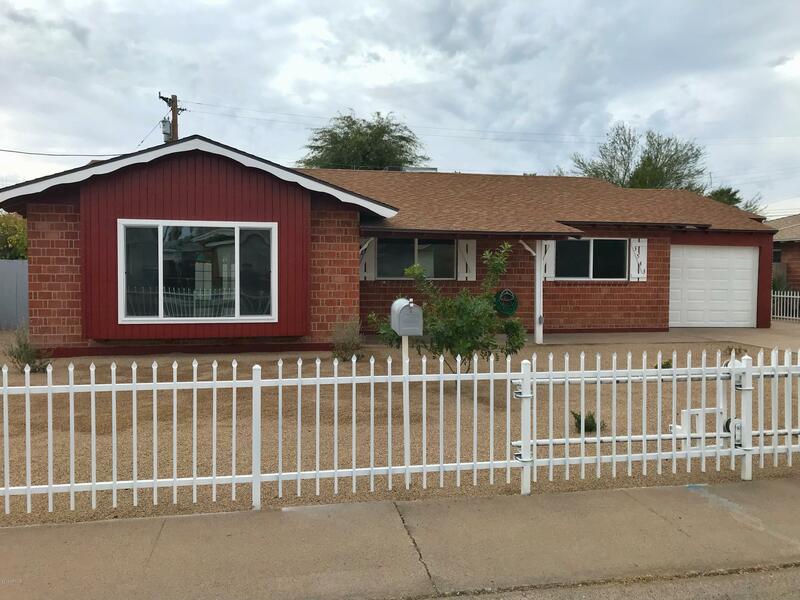 Check out this beautiful remodeled home that is move-in ready! This beauty features new kitchen cabinets,counter tops, backsplash,sinks,faucets,new roof and windows, new light fixtures,stove,microwave,dishwasher, baseboard ,new tile flooring and carpet, remodeled bathrooms, new paint inside and out, gorgeous front landscape and a good size backyard that is perfect for family/friend gatherings and entertainment.Garage and RV Gate. Close to schools, dining, and shopping. Come see today! Beautiful 2 bedroom 1 bathroom. A must see tile and carpet throughout. Bring your buyers! Welcome home! 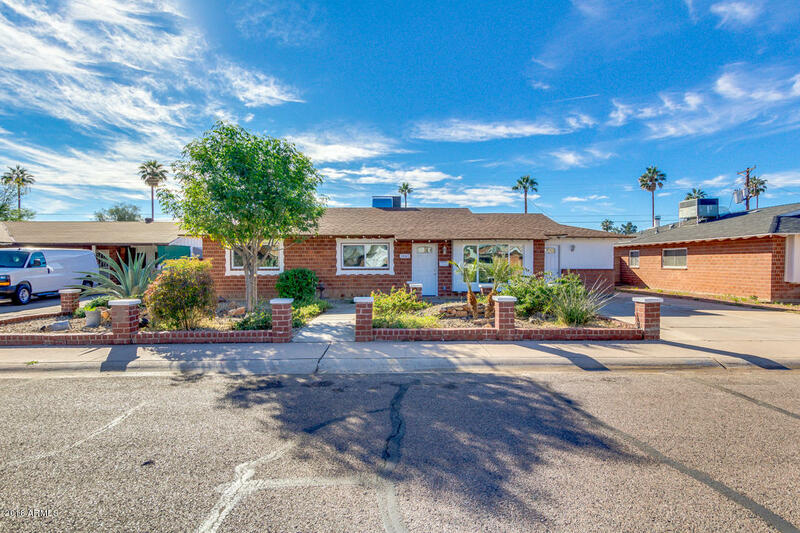 Step into this remarkable single level home now available in desirable Phoenix! 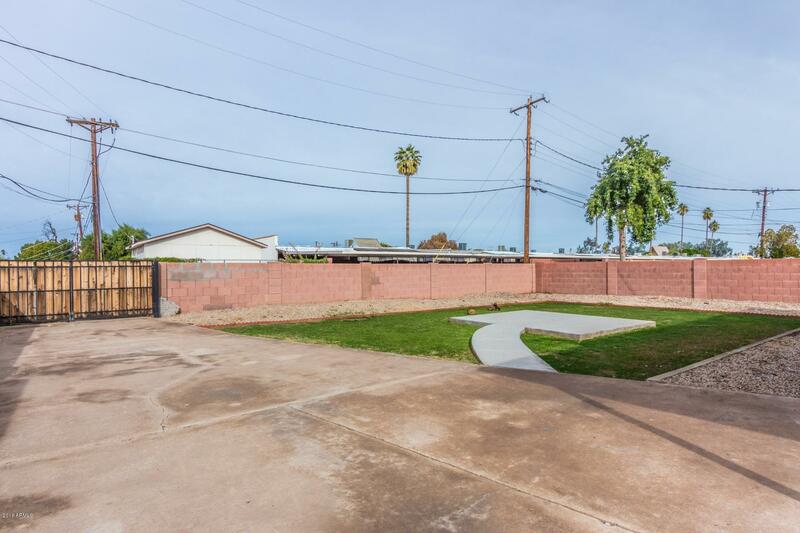 Highly upgraded, providing a low maintenance desert front landscaping and slab parking. 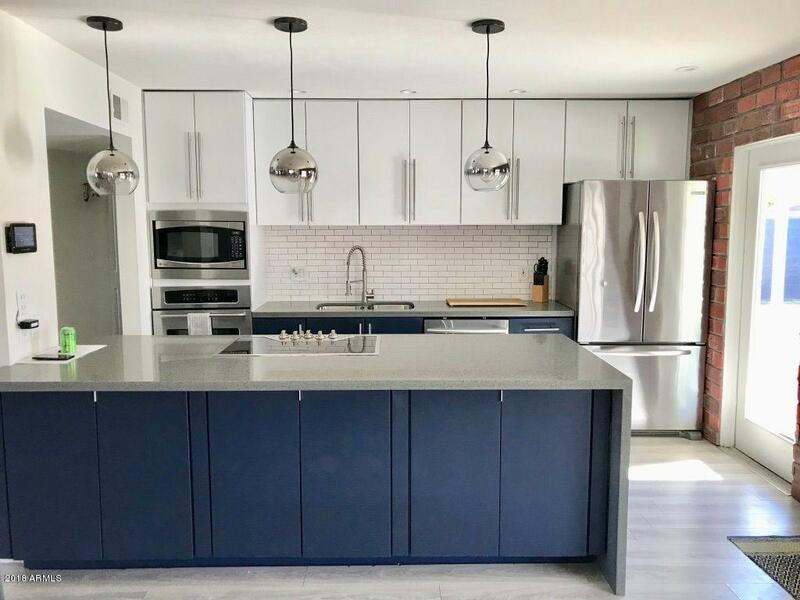 Incredible interior is complete of 4 bed; one bedroom including a separate entrance, 2 bath, living/dining area, picture windows, and neutral color palette throughout the entire house. You will absolutely love this impeccable kitchen featuring ample cabinetry with crown molding, plenty counter space, back-splash, island with sink and breakfast bar, recessed lighting, and sparkling stainless steel appliances. Perfect sized master bedroom features a mirror closet and lavish full bath. Huge backyard consists of a covered patio and so much potential to make it your own. This home is waiting just for you! Call now! 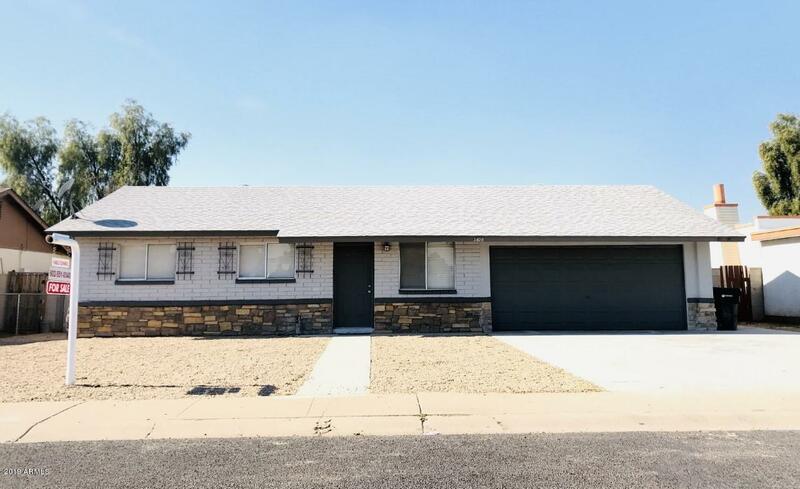 ***BACK ON MARKET***Nestled on a quiet cul-de-sac & located just minutes from GCU; making it perfect for anyone wanting a centrally located home at an affordable price! 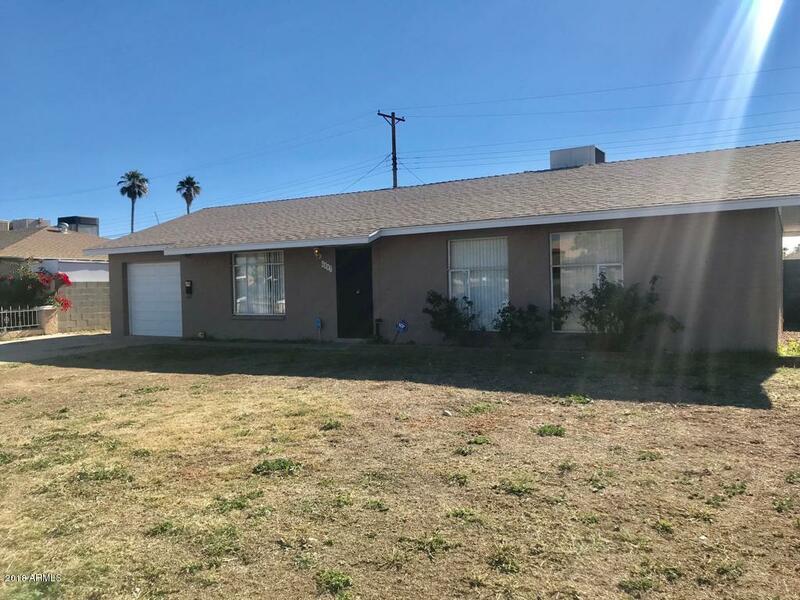 This 2-Story 3BR/2BA home is extremely functional with the living quarters being downstairs and all bedrooms being located upstairs. The Eat-in Kitchen has plenty of counter & storage space complimented with lots of natural light making it great for gatherings! The upstairs bedrooms are arranged in a split format giving the Master Bedroom the privacy most want and deserve! The curb appeal and back yard allow for you to enjoy outside your home as much as the inside with its covered patio, mature trees and privacy!